Soham, Cambridgeshire. 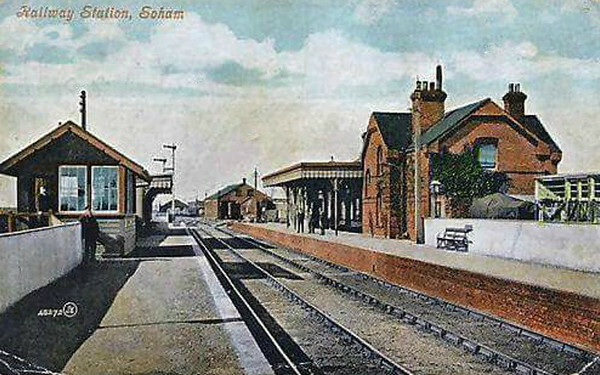 A view of the station looking towards Ely from an old postcard. This was how the station looked before the major explosion in 1944.